Looking for a smaller keyboard for portability? Today, we review the new Wekey portable keyboard. I've always been a sucker for a keyboard small enough to tote around and still be functional. A year ago, I tried the iHome portable keyboard. While I gave it a solid review, it was still a large keyboard to work with. As everyone knows, I support a various number of gadgets and technologies on crowdfunding sites like Indiegogo and Kickstarter. 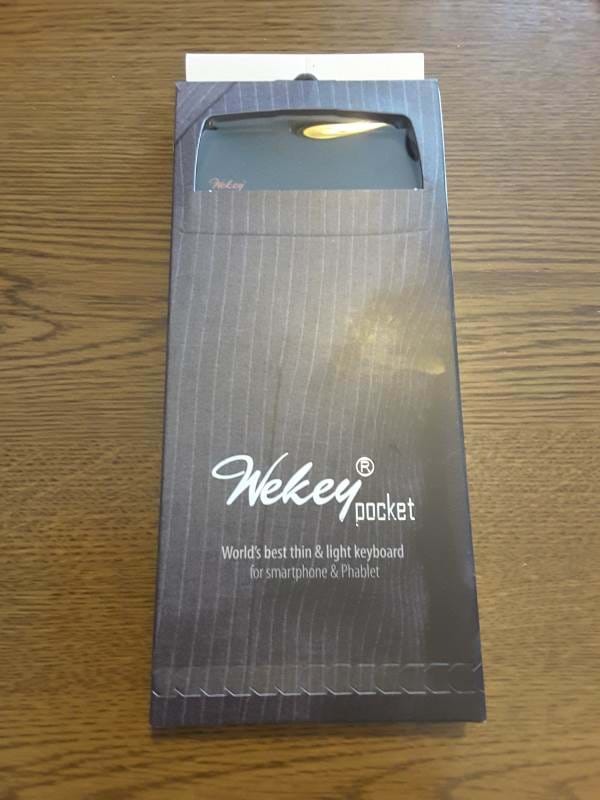 One day, I noticed the Wekey Super Slim Touch Keyboard on Indiegogo. The video was compelling and I was hooked. So I decided to give it a try. I bought it in April. They shipped the portable keyboards near the end of September and I received it in October. I noticed it came in the mail in what looked like a calculator package. After taking it out of the package, I wanted to start using it immediately. 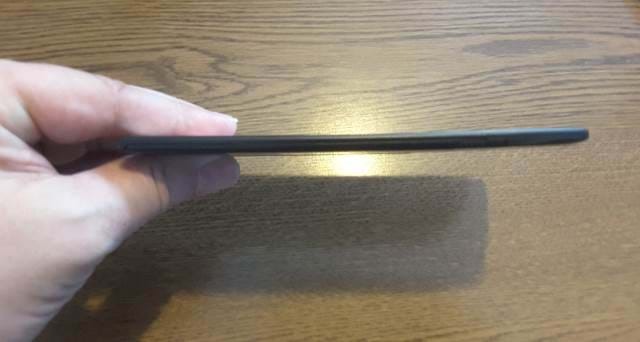 However, the general rule of thumb is to charge your device to full capacity before using it. 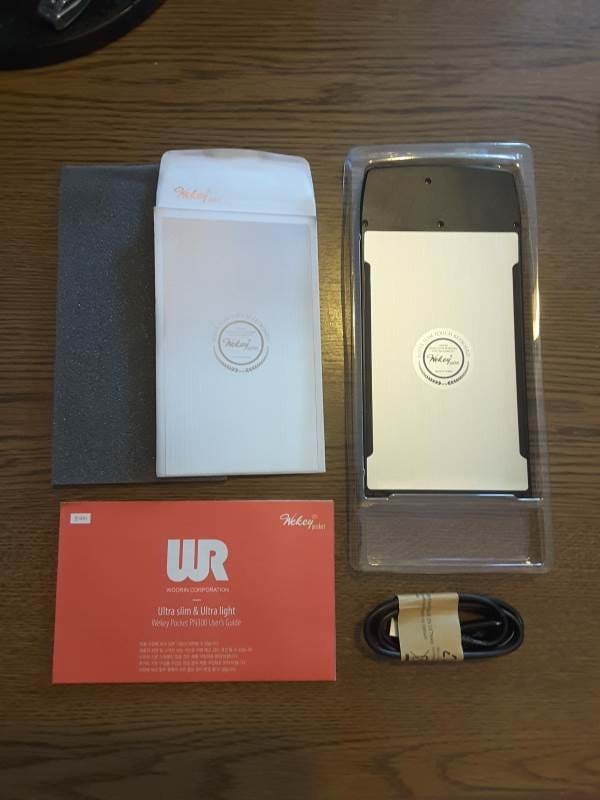 The contents of the package included the keyboard, a manual, and the charger. After unpacking everything, it took about 3.5 hours to charge the keyboard. The cable included is a Micro USB to USB charger. While the keyboard was charging, I decided to peruse the manual. The manual mentioned the different LED status lights when using the keyboard. RED LED Flickering - Battery needs charged. GREEN Solid LED - Battery is fully charged. 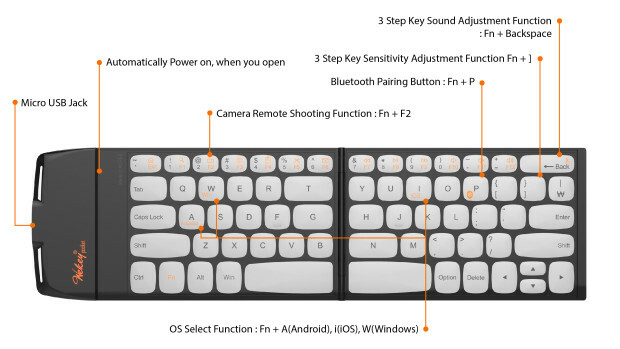 The keyboard supports Android, iOS, and Windows through Bluetooth. Now, to the dimensions of this puppy. 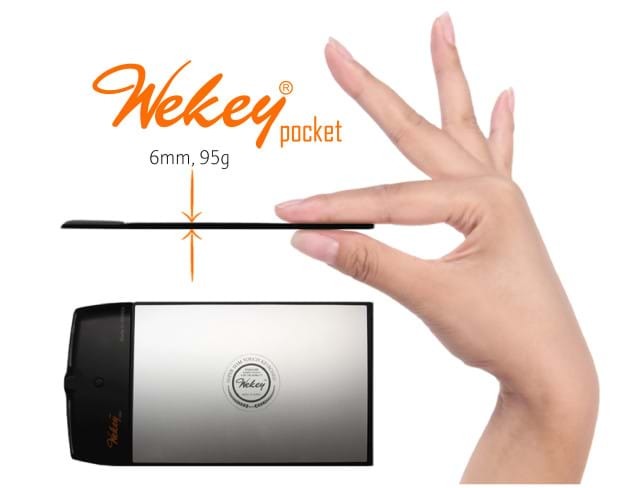 The thickness of the Wekey Portable Keyboard is 3mm open and 6mm closed. It's about a foot long. I also examined the keyboard with it's extra functionality through the special keys. The keyboard can work on smart phones and tablets and comes in Black or White. I chose the black. One other feature of the keyboard is that it's water-resistant. Perfect for the klutz in you (I'm guilty as well!). After the keyboard was charged, I decided to test it out with my Samsung Galaxy Tab S2 tablet. I haven't run out of juice in the month I've been using it. According to their site, the battery lasts for one month if you use the keyboard for 1 hour a day. Even though it uses Bluetooth, it doesn't use all of the power in one sitting. I've been using the keyboard about an hour a day for about a week and it seems to be holding up nicely. On the weekend, I plug it into a USB outlet (or my USB station at my desk) and recharge it just in case I get a need to write a quick article using my tablet. If I was to compare the iHome Wireless Keyboard to the Wekey Portable Keyboard, I think I would pick the Wekey. After using the keyboard for almost a month, it started feeling easier to use the Wekey and adapt to in the long run. I thought the keys wouldn't hit when you tap them, but getting even close to them would trigger a letter and for my fat fingers, that's not a bad thing. Overall, I really like the keyboard. I use it four or five times a week and it is definitely compact instead of lugging around a laptop (not that my laptop is heavy or anything). Do you have a small keyboard? Which brand do you have? How does it measure to the Wekey Portable Keyboard? Post your comments below.